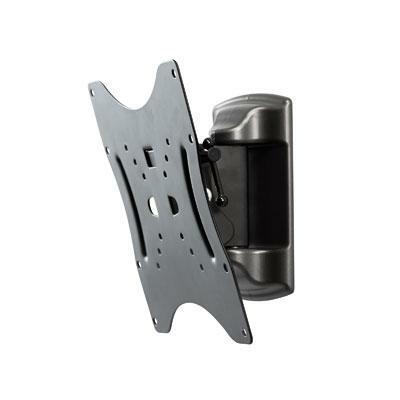 This wall mount is designed for light weight LED/ LCD displays. It features a quality finish, a removable head for easy display mounting / replacement, and display tilt /pan adjustment. It supports VESA compatible displays up to 66lbs. (30kg) and ships with an easy install guide and mounting hardware for timber stud and masonry wall attachment.